Following the announcement of his impending retirement Khel Now looks back at the career of the legendary Italian World Cup winner and undoubtedly one of the greatest midfielders of his generation. 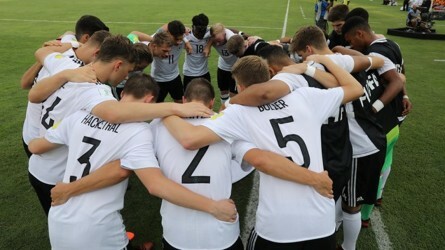 At the end of a footballer’s career, when they look back, they usually think about the silverware they may have won or the adulation from fans of the clubs they represented or the respect from opposition players and fans alike. Few players can fit in the intersection all of these tenets. Italian maestro Andrea Pirlo was one of such player. The 38-year old Flero native called time on what has been a glorious football career. A FIFA World Cup, two Champions League titles, six Serie A titles amongst others have seen him being placed in the pedestal of legends to have graced a football pitch. He was everything the stereotypical Italian footballer was not. He was not blessed with strength or pace. But what he had in abundance was a majestic vision, ball control and an exceptional passing range. Where other footballers would be seen applying maximum effort to shoot or pass, Pirlo would be the antithesis of this by appearing to be doing all of this with minimal effort, an attitude that served him well both on and off the pitch. The man teammates called The Architect, was a core part of every team that he played for at club and international levels. Starting his career at Brescia under coach Mirca Lucescu, the young Italian was played as an attacking midfielder but never found his feet and was sold to Inter. His time with the Nerrazzurri saw loan spells at Reggina and former club Brescia who were now under coach Carlo Mazzone. It was here that Mazzone saw Pirlo’s potential in a deep lying position than as an attacking midfielder. The move was the start of a journey that would see Pirlo become synonymous with the position like how Claude Makelele became associated with the defensive midfield role. The video of him bypassing the entire opposition defence to pick out Roberto Baggio with a glorious pass is one that still does the rounds around the internet today. Such performances caught the eye of giants Milan who signed the youngster for €17m, a steal in today’s transfer market. Then under Fatih Terim and later Carlo Ancelotti, Pirlo became part of a midfield that was soon amongst the best in Europe. Ancelotti, in particular, was credited with bringing the best out of Pirlo by pairing him with midfield enforcer Gennaro Gattuso who would ensure that Pirlo had the run of the park to find strikers Filippo Inzaghi, Kaka and Andriy Shevchenko. In addition, the presence of supplementary creative talents like Clarence Seedorf, Kaka and Manuel Rui Costa gave opposition midfields and defences a tough time on whom to keep an eye on. When he wasn’t picking passes from a deep-lying position, Pirlo was creating magic with dead ball situations especially his free kicks which at times seemed to be executed with minimal effort. Such was his influence in midfield that it allegedly forced Sir Alex Ferguson to ask Park Ji-Sung to man-mark Pirlo during their Champions League Round-of-16 match in the 2009-10 season, a match that saw United run out 3-2 winners at the San Siro. The wily Scot had seen enough of Pirlo’s influence in the middle of the park during the semi-final doubleheader against Milan in the 2006-07 season, a year which saw Pirlo lift the World Cup and a Champions League title. Such was his influence on the Italy national team that Marcello Lippi's side put up an insipid performance in their title defence at the 2010 World Cup in South Africa, vastly attributed to Pirlo's injury prior to the tournament. However, he followed up the disappointment at South Africa by winning only his second Serie A title with Milan in the 2010-11 season. Pirlo continued to be an integral part of the Milan side under new coach Max Allegri, a man he would be reunited with for a solitary season at Juventus. Allegri’s Milan were a more functional unit as opposed to the free-flowing teams that were seen under Ancelotti and Leonardo. In a shock decision, Pirlo was let go on a free transfer after the 2010-11 season and a rejuvenated Juventus was the Architect’s next destination. If there was ever a free transfer that was called a ‘steal’, this was it. Under current Chelsea coach Antonio Conte, Pirlo enjoyed a revival in a 3-5-2 system where he became part of another influential midfield alongside Arturo Vidal, Claudio Marchisio and Paul Pogba. He followed a title winning 2011-12 campaign with the Old Lady with a highly impressive Euro 2012 where he was virtually unstoppable in the games against England and Germany. Then, Italy coach Cesare Prandelli shifted to a 3-5-2 system as well to bring out the best in Pirlo alongside Daniele De Rossi and Thiago Motta. A strange decision to abandon this approach during the final against Spain saw Pirlo miss out on a chance to win a European championship title, one which would have put him in a league alongside other legends such as Zinedine Zidane, Xavi, Iniesta etc. A poor World Cup at Brazil saw doubts being raised on whether fans would see him in 2018 at Russia or at Euro 2016. 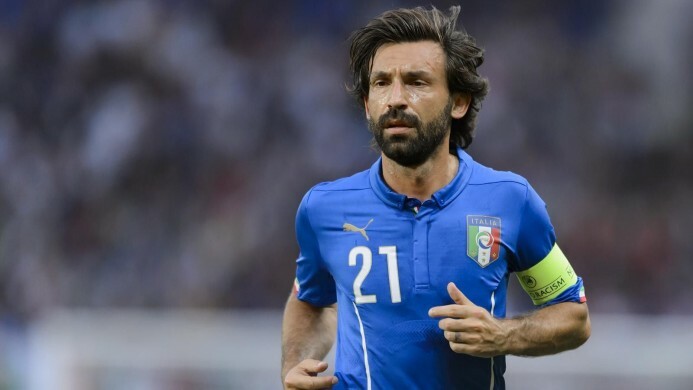 Despite stating his intention to call time on his international career after the 2014 World Cup, Pirlo declared that he would be available to play for the Azzurri if called up. His career in Europe ended on a sad note as his Juventus side were comprehensively beaten by Barcelona in a final that saw another midfield legend calling his time in Europe, Xavi. Pirlo’s next stop was New York City where he would be alongside former Chelsea midfielder Frank Lampard and former Barcelona striker David Villa. 60 appearances for the club yielded a solitary goal, but the United States benefited from watching one of the best midfielders of this generation ply his trade in their league. Andrea Pirlo will go down in history as one of the greatest midfielders the game has ever seen. His trademark hairstyle, beard and his signature free kick style will always be associated with the medio. And not to forget moments of magic like the pass to Baggio, the reverse pass for Fabio Grosso’s goal in the 2006 semi-final against Germany at Dortmund, the corner to set up Marco Materazzi in the 2006 World Cup final, the defence-splitting pass to Antonio di Natale in the Euro 2012 opener against Spain, the Panenka against England and the free kick against Mexico at the Maracana in the 2013 Confederations Cup will be a part of numerous montages that will be circulated in tribute to a midfielder who epitomised grace, class, vision and made the game more pleasing to the eye. Grazie Andrea. You will be missed!